ORLANDO, Fla. - A Central Florida driver recently parked his pickup truck on top of another driver’s vehicle to protect his family, according to Ocala police. 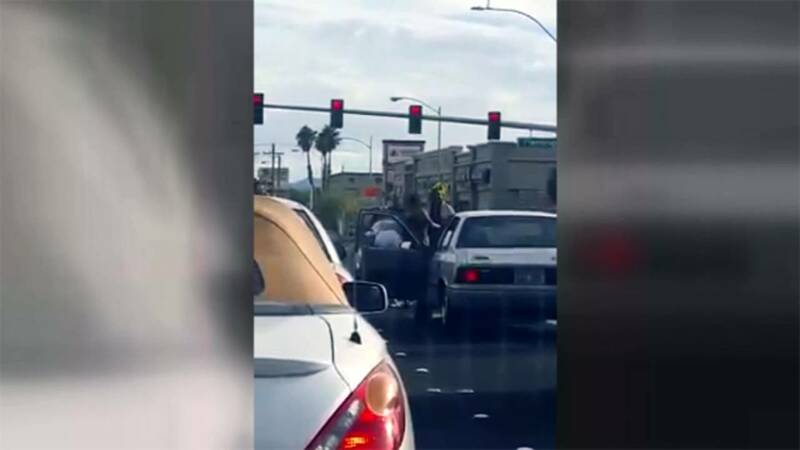 The incident, which allegedly started with one driver confronting another for tailgating, was one of several recent aggressive driver situations that quickly escalated ending in an arrest, or sometimes death. More than 80 percent of U.S. drivers have felt some form of aggression on the road, according to a Nation-wide study of drivers. A July 2016 AAA Foundation for Traffic Safety’s study found that more than half of U.S. drivers have engaged in some form of aggression toward others drivers on the road, including tailgating, honking and yelling. But how many of those drivers would take things off the road and get out of the car? More than 7 percent of drivers in the study said they have excited their vehicles to confront another driver or hit another car on purpose. Men were more likely than women drivers to report aggressive behavior on the road, according to the study. AAA also found that the number of aggressive drivers might actually be higher, because drivers don’t always report road rage incidents. During a seven-year period, 218 homicides and 12,610 injuries were attributed to road rage, according to the American Safety Council website SafeMotorist.com. “Don’t risk escalating a frustrating situation, because you never know what the other driver might do. Maintain a cool head and focus on reaching your destination safely," AAA’s director of traffic safety advocacy and research Jake Nelson said. Try not to offend on the road: Making another driver have to change their speed or direction, or hit their brakes, could cause conflict. Be tolerant of others: Assume it’s not personal; the other driver could be having a bad day. Do not interact: Avoid eye contact and try and maintain the space around your vehicle. If you feel like your safety is at risk, call 911. Many situations can be avoided if drivers maintain their distance from other cars, according to the Florida Department of Motor vehicles website.